1 Day Inca Trail Hike to Machu Picchu. The new trek for an unforgettable experience. 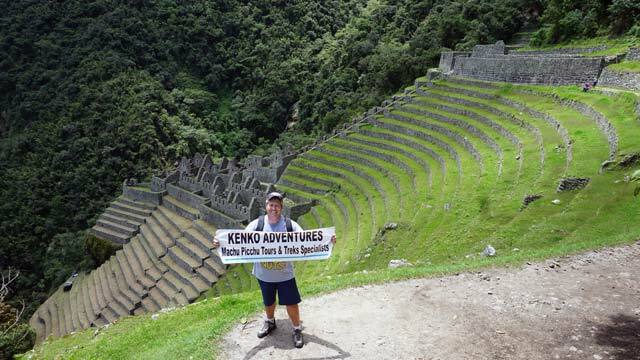 Have a great adventure with this Inca Trail Tour: hiking half day to Machu Picchu with our tourist service train and enjoying at the same time more Inca ruins through of the rain forest mountains and arrive to Sun’s Gate (Inti Punku), prepare yourself to be amazed with the best panoramic view of Machu Picchu. There are a lot of trekking routes which lead us to Inca Citadel Machu Picchu, but only in this route you will have the opportunity to visit Machu Picchu in a single day! It is ideal for those whom do not have much time but you are interested to do a little hike. During the trek our visitors will enjoy a short ride in a comfortable touristic train with service on board crossing the Sacred Valley of the Incas which offers generous flora and fauna, and also unrealistic views of the Andes until arriving to tropical forests of the Natural Reserve of Historic Sanctuary of Machu Picchu. 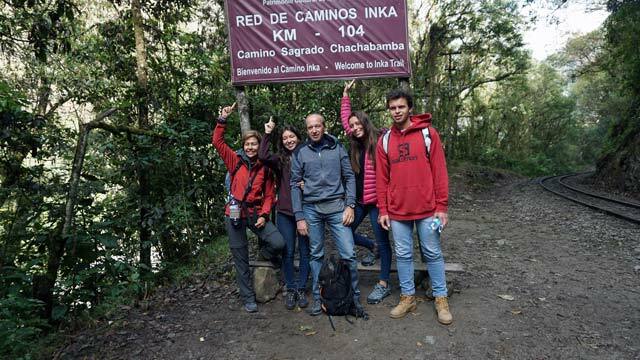 Our hike starts on kilometer 104 of the train route from Cusco to Machu Picchu, this route has a total of 12 kilometers of cobbled and authentic Inca road, through all of this adventure we will visit some archaeological sites like Chachabamba, Wiñayhuayna, Intipata and Inti Punku. 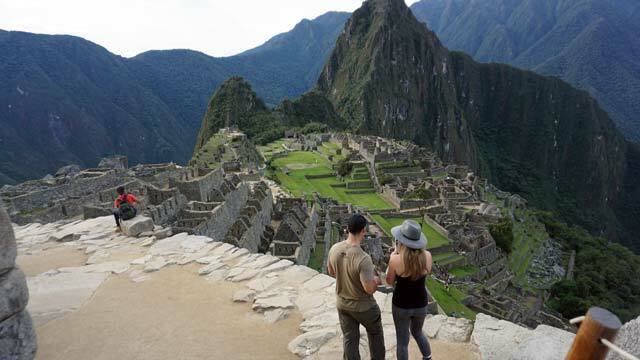 We will also connect with the traditional Inca trail and finally with Machu Picchu Citadel. Upon our arrival, our visitors will have the opportunity to have a visit to the Citadel of Machu Picchu and also our clients will have a walking tour with a professional guide at Machu Picchu Inca city. 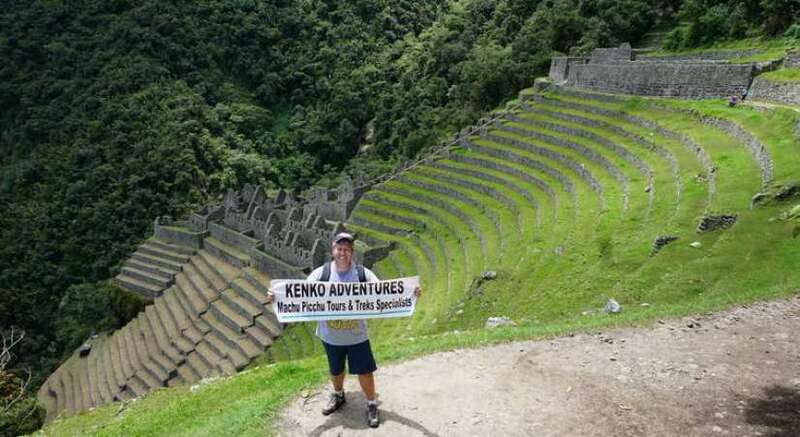 Kenko Adventures is an official Inca Trail Trekking Company based in Cusco, Perú. Hike, guided tours, adventure, history, culture, flora, fauna and more! 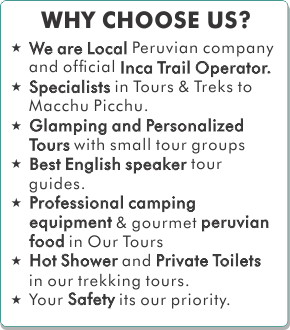 What does Superior one day Inca trail service include? Professional bilingual guide very well trained in adventure tourism. Transportation from Cusco to train stations. Our clients are starting in Cusco city, picking you up from your hotel at 04:00 am in our private transportation and your professional guide then you will drive to Ollantaytambo train station. Here you will board your Expedition class train (05:40 am) the train trip takes 1:30 hrs approximately, on board you will enjoy a marvelous Mountains and Glaciers of the Sacred Valley of the Incas like Veronica mountain. After one hour, the scenery will have a radical change as we will enter through the tropical forests and reach km 104 where our starting trekking point is located. Before start the hike, we will access to the check point with our passport and tickets which our company had previously arranged. And also, we have a restroom if any of our clients want to use before start the hike. The first Inca site that we are going to visit is the archaeological site named Chachabamba and have a moderate climb with lush biodiversity, specially flora since in this area there are a lot of endemic orchids and fern species. Then hiking for few hours, we will reach another archaeological site named Wiñayhuayna in which your expert guide will explain to you about its ancient function. Hiking for few more minutes we arrive to Wiñayhguayna campsite which is the last camping place for the 4 day Classic Inca Trail hikers, continuing with the adventure; this portion of the trail is easier like up and down until to get Inti Punku (Sun’s Gate) At this point we will have the first fantastic view of Machu Picchu. After taking our photos, we will continue for another 40 minutes downhill until arrive to Machu Picchu then, our clients will have a private walking tour with a professional guide for 2 hours and then enjoy a free time to relax at Machu Picchu. 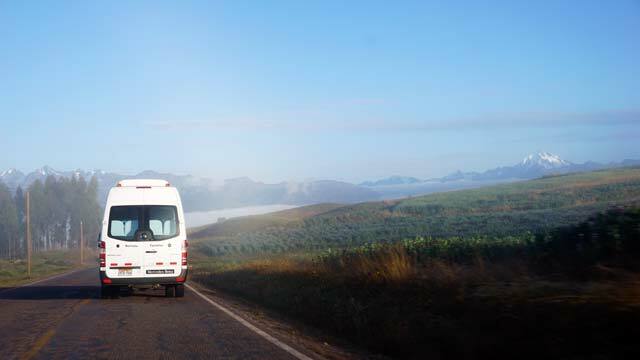 Transport: From cusco to Ollantaytambo bus then from Ollantaytambo to kilometer # 104 by expedition train service then hiking to Machu Picchu from there by bus to Aguas Calientes then by train to ollantaytambo, and private transportatión to Cusco. Our Price is $ 359 USD Per person. Our price $ 389 USD per person for 2 people. Our price $ 369 USD per person for 3 people. Our price $ 359 USD per person for 4 or more people. Entrance tickets for Inca Trail and Machu Picchu. We provided you a box lunch. We provided you walking poles for your trek. SECOND, we require a deposit of US $ 210.00 per person in order to purchase your entrance to Machu Picchu and train ticket. You can make you deposit by PAYPAL or you can do a deposit in our Bank account at Interbank. It could be greatly appreciated if our clients pay in cash at your briefing time at the hotel (US dollars or Peruvian soles) here in Cusco. We have many cash machines in the historical center to withdraw money. You can also pay by PAYPAL online.